That's cheap. If you were roaming in France with SA Vodacom it would be that for 100mb probably!! Make it the price of a SMS with Vodacom. Not my real name on Twitter either haha, allows me to speak freely and not tracked by people I work with. No network problems in my area according to CI's website. 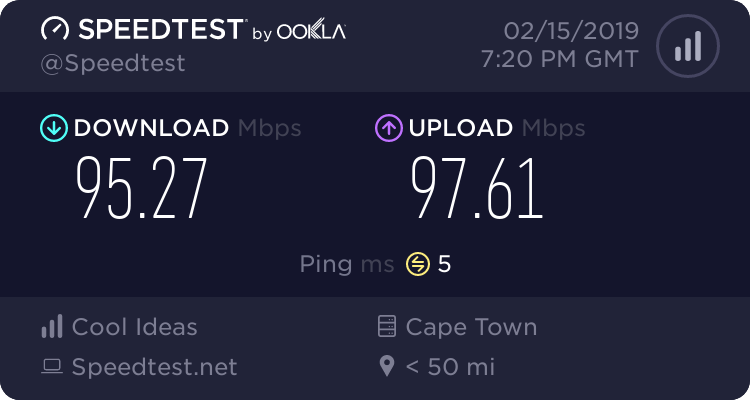 Anyone else in Randburg getting horrific international speeds? "Service is still with CI and service end date is 17.03.2019"
so means I can't even move to another ISP until you guys send that cancellation to Mfn which you did not. feels like a cheap ploy to just piss me off? Please give me a ticket number or account name to investigate? Does this affect Vumatel trenched or only Openserve? IPC is only Openserve related. Please log a ticket, ironically this is using IS international capacity. Have you done iperfs at this point? iperf3 package files install completed. Performing other installation steps. Progress: 100% - Completed download of C:\Users\Temporary\AppData\Local\Temp\chocolatey\iperf3\3.1.3\iperf-3.1.3-win64.zip (1.33 MB). Download of iperf-3.1.3-win64.zip (1.33 MB) completed. The install of iperf3 was successful. I seem to be having a problem connecting to Europe servers in PUBG. I keep getting connected to North America instead of South America or Europe. Until three days ago I was never matched on an NA server and now I cannot get matched to any other server unless I use a VPN. Can somebody look into this possibly? 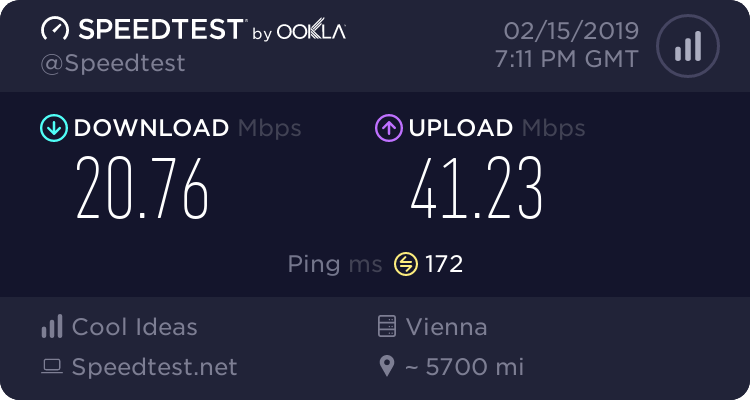 What does an MTR look like as latencies and indices all seem fine. Nothing to report, can you elaborate for me.